Known as the master of lethal Kempo, Lee holds the power and technique that can kill a man in a single strike. 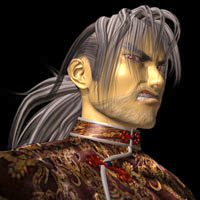 It has been said that Lee, founder of the Hakkyoku Ken, was killed some time ago through lethal poisoning. However, through the power of a legendary elixir found in the tomb of the first emperor, Lee has miraculously been brought back to life. Not only did this elixir bring him back to life, it is also making him younger as time proceeds. At this rate, he will ultimately become younger and eventually return to the void. In an attempt to avoid such a fate, he embarks on a mission to acquire the true key to immortality. Thus, he begins his journey to uncover the mystery behind the legendary ancient ruins. 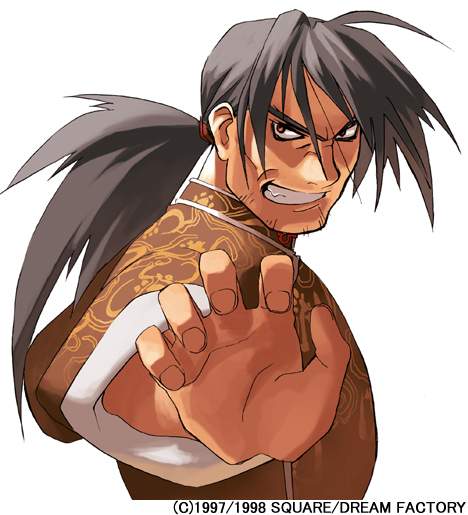 He looks like an early Gato or Feng Wei, and he represented his martial art pretty well in the game. 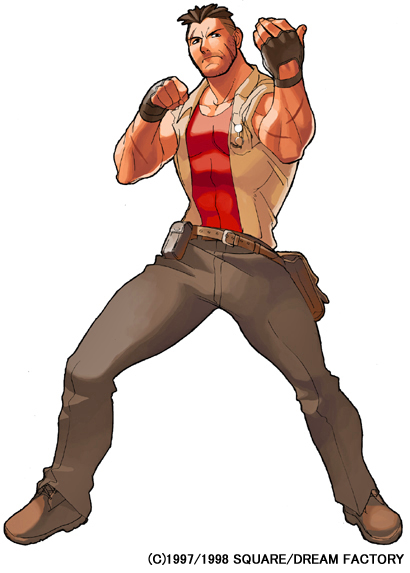 He was one of the only 'traditional' fighters from Ehrgeiz, so he did bring something to the series. Also... Quick cheap joke: Say his name fast and it sounds like "Least you went!"